It took three 8K RED Monstro VistaVision cameras to make it. 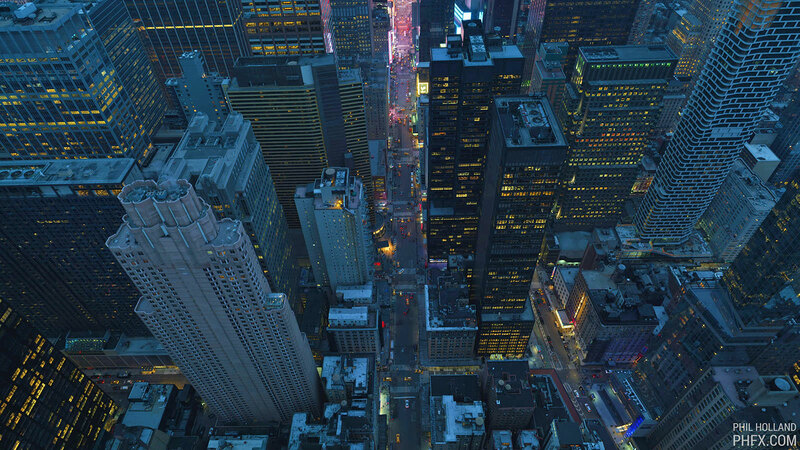 Some folks believe that 8K TV is overkill, but cinematographer Phil Holland just flaunted video of New York City captured in sweeping 12K. 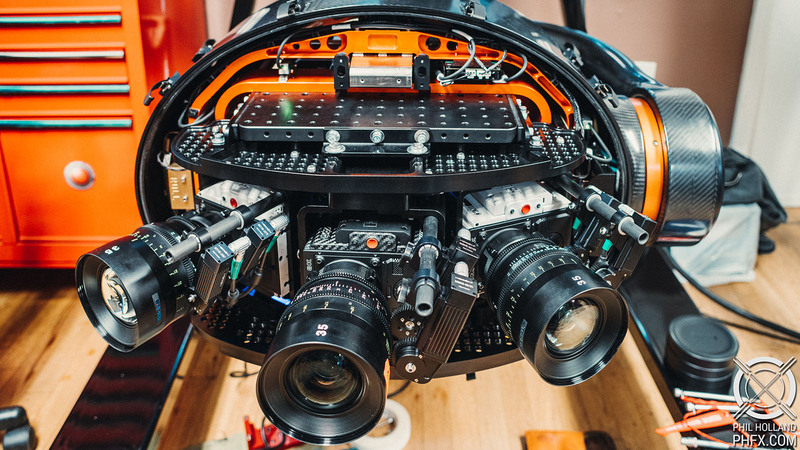 He used three RED Weapon Monstro 8K VistaVision cameras (turned sideways) mounted on a special rig called the Shotover K1 Hammerhead. The videos were then stitched together to create a 12K, 48fps film with each frame equivalent to 100 megapixels, using a sensor area roughly equivalent to 645 medium format film. Holland works with RED and was one of the first to get his hands on the new Monstro 8K VistaVision large-sensor camera. "On a creative level I knew this was going to be good; Monstro's strengths come in the form of great color, dynamic range, and very clean shadows. Which would work great for low light and night," Holland wrote on a blog about the project. He chose Tokina's 35mm T1.5 lenses for their good low-light performance and a large image circle. Shooting with three very high resolution cameras from a helicopter presents some technical challenges, obviously. The K1 Hammerhead has a six-axis gyro to stabilize the camera array and keep the shots steady. For the stitching to work properly, they had to figure out the correct amount of overlap, and the cameras had to be synced using RED's Jetpack SDI module. "This is actually one of the first times I've ever seen this bad boy used to maximum intent," he said. Putting the video together in post was equally tricky, as everything needed to be aligned, warped, stitched and blended. Because all three cameras were pointed in different directions, shots needed a perspective adjustment to create a perfect rectilinear projection. The final image was 12K at a standard DCI 1.9:1 aspect ratio. "Interestingly you can extract a very IMAX friendly image from this setup as well with an appealing FOV and resolution for proper IMAX screens," Holland notes. Since there is no way to display a 12K image, Holland reduced the final image to 8K. You probably won't be able to view the 8K video on YouTube in its full glory, but if you have a powerful computer and 4K or 5K screen, you'll still be able to appreciate it. "The resulting very large format provides a level of depth that's rather mesmerizing, especially in motion," said Holland.